The best of both worlds! 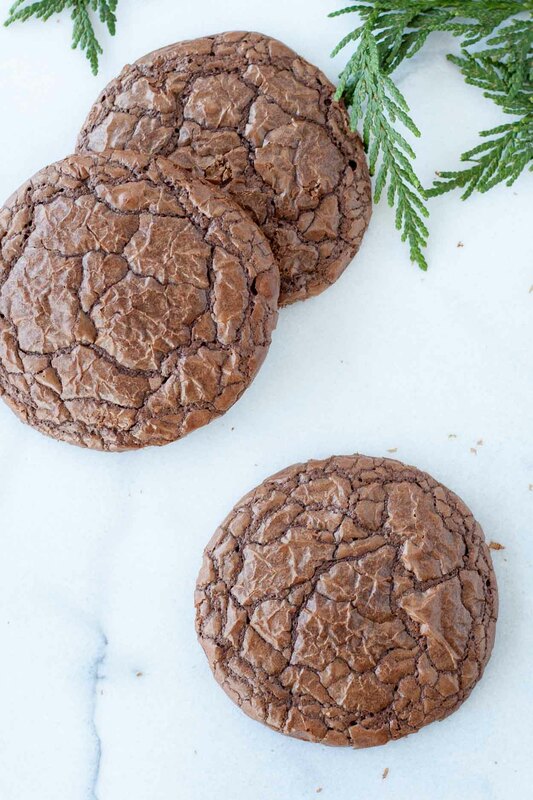 These brownie cookies are your favourite chewy chocolate brownies in cookie form! Not wanting to mess with things too much due to my brownie issues, I decided to follow the recipe and directions exactly (which I almost never do). This way, surely the cookies would turn out just as perfect as they did in the magazine pictures, right?? Wrong. The first batch of these guys did not turn out well (understatement). The batter was REALLY thin. I mean, it was basically brownie batter (aka cake batter), and not at all solid like cookie dough. So when the recipe said to “shape the batter into balls” I knew I’d royally effed up another brownie recipe. Again! I re-read the recipe and directions and had followed everything correctly, so I’m not sure what went wrong there. Against my better judgement, I scooped up some dough batter into my cookie scoop and placed poured it onto the baking sheet. Sure enough, it spread out and baked up flatter than a pancake. Thankfully I had enough foresight to only bake ONE test cookie. I popped the batter into the fridge to chill/set a bit. I always do this with cookie dough, but never with cake batter, so I wasn’t sure what the result would be. 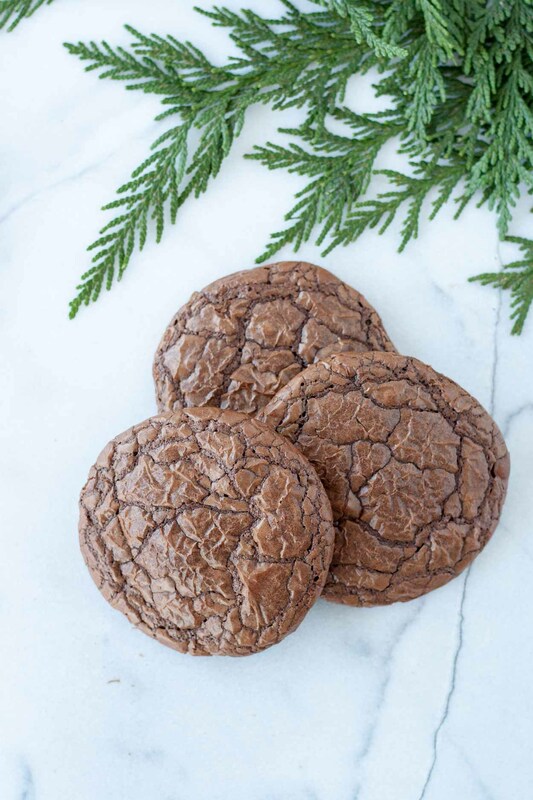 The second batch of these Brownie Cookies was better, but still not up to my standards. Back into the fridge with the batter. That little extra time in the fridge (less than 20mins total — I was impatient) was what the cookies needed to hold their shape better. The batter still basically poured out onto the baking sheet, but it was a bit more firm and therefore didn’t spread as much. 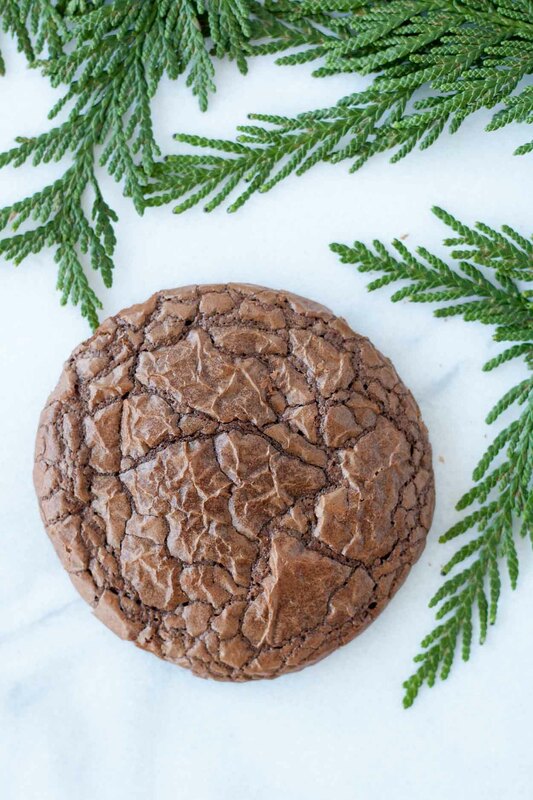 I am happy to report that these Brownie Cookies taste exactly like brownies. They’re chewy, fudgy, and melt-in-your-mouth delicious. If you don’t have a square pan to make regular brownies, or are looking to try something a little bit different, this recipe is for you! Chilling the dough is critical, but you don’t want to chill it too long as it will be hard to scoop. Chill it just enough that it thickens but is still thinner than normal cookie dough. 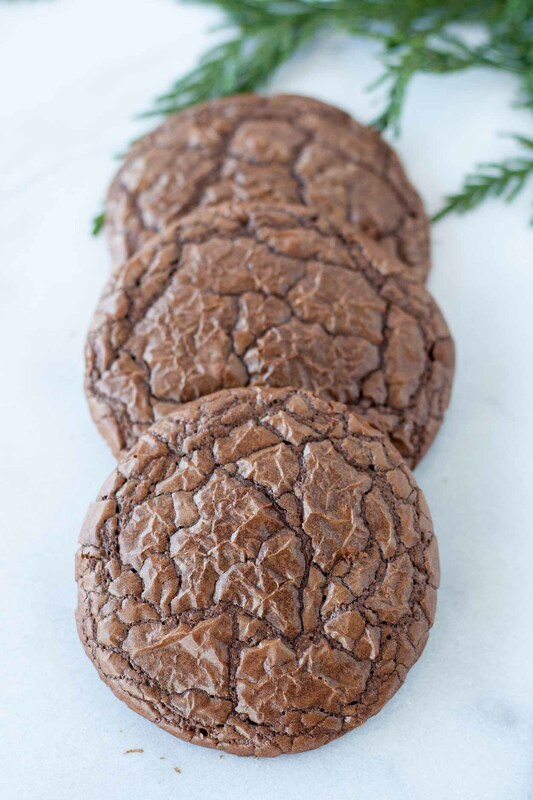 For best flavour and texture, use good quality dark chocolate for these cookies (not Baker’s chocolate). These would work great for homemade ice cream sandwiches! The best of both worlds! 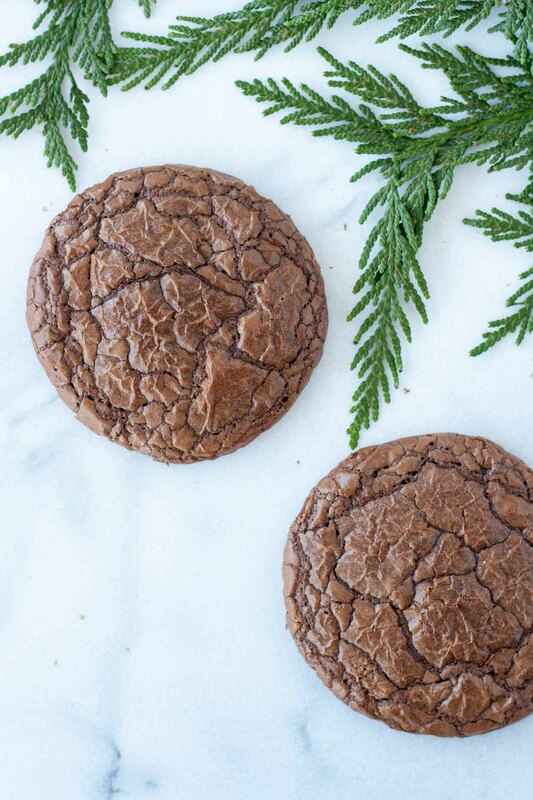 These brownie cookies are your favourite chewy, chocolatey brownies in cookie form! Melt chocolate and butter in a bowl over a pot with simmering water or in the microwave. Cool to room temperature (approx 15 mins). In a small bowl, whisk together sugar and eggs. Add to chocolate and mix until well combined. Add flour and baking powder and mix until combined. Chill in the fridge for approx. 20-30mins, until batter is slightly thickened. Preheat oven to 350F and line 2 baking sheets with parchment or silicone mats. Using a medium cookie scoop (1 1/2 Tbsp), scoop batter onto cookie sheet and place 6 to a sheet. Batter will be fairly thin. 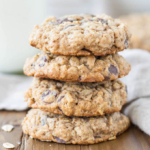 Bake for approximately 11 mins, until cookies are cooked on the edges but still soft in the center. Cool completely on baking sheets. * Any good quality dark chocolate will do. Do NOT use Baker's Chocolate. 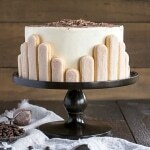 Adapted from Ricardo's Best Cookies magazine. Do the chocolate chips have to be dark chocolate or can they be substituted? Hi Olivia, Will these keep well in room temperature or should i place them in the refrigerator? I live in a hot and humid climate, and want to give them as gifts. Thank you! Hi Sarah! They will be fine at room temp, but you can also freeze them! Wow this is delicious!! First time right, I am so happy! Right after mixing everything together the batter was for some reason already firm enough. The cookies are not as dark brown and shiny a yours. Mine look really homemade if you know what I mean 😉 but the top is crispy and the inside soft and chewy like a real brownie experience. Thanks for this great recipe! Hi Elise! So glad that you liked these 🙂 Thanks for the feedback! The resulting dough/batter was liquid as described… it spreads a hell of a lot but the cookies are chewy inside amd crisp outside. It is a bit too heavy for my partner and I, but they look good and taste as said in the post! Thanks for the feedback Léa! Just made these and they are GREAT and addicting! I used Hershey’s dark chocolate, chocolate chips. Easy to make. Thank you for sharing this recipe. Have you ever froze the batter or made cookie balls and freeze them? I like to send frozen cookie dough balls to my son in college. Made them and they look yummy! Hi Vanessa! Sorry to hear these didn’t work out for you 🙁 Did you chill the batter?? If so, something must have been off in the measurements. 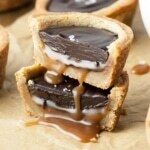 I just made these upon having a mad chocolate craving and needing a quick fix. I halved the recipe to make 6 cookies and added a pinch of instant coffee powder. I used semisweet chocolate chips and they turned out great. I was glad I didn’t waste a Lindt bar. Thank you for this recipe. Would make again, though for me there really is no substitute for a good brownie. One final note: I totally ignored the instruction to cool the cookies completely on the cookie sheet. 😃 They were eaten straight out of the oven and perfect, did not crumble. Oh I love brownies and love cookies. 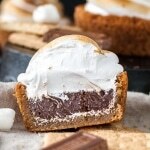 I’ve made a chocolate meringue cookie before. Really moist inside! Have made brownies so many times I don’t need to read the recipe. I have a brownie recipe that’s quite fudgey and foolproof. Very easy! Regarding sugar in this recipe – I would think that you can use granulated sugar. The only time I usually brown sugar is when I’m making chocolate chip cookies. Hello! 🙂 I just tried making it today but i wans not able to get the outside texture of cracky cookie. 🙁 what do you think went wrong? 🙁 thank you! Hi Joanna! Hmm, I’m honestly not sure. I’m not a brownie expert (I wish!). I tried to google the answer and it wasn’t super helpful. Did you use all of the ingredients exactly as listed and chill the batter for a bit? These were delicious! Do you think they would turn out as well with a gluten free flour? I need to make a desert for a friend who can’t eat gluten, but isn’t celiac. Hi Lori! The recipe is in the post. If you’re on mobile, you may need to click the Read More button :). Great recipe! 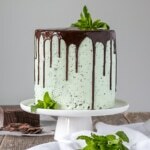 I used semi-sweet baker’s chocolate (before reading the notes and comments that said to avoid using baker’s chocolate) and I was so scared they wouldn’t come out. But they came out perfectly! The batter was pretty thick so I didn’t cool them for so long. Love these cookies! I made these today. I made them as cookie sandwiches with Nutella cream cheese frosting. The cookies came out perfectly. I halved the recipe and made them each with a tablespoon of batter and ended up with 12 cookies. I used baker’s German chocolate as I had some on hand and a pinch of salt. They were absolutely divine alone, but with the frosting they were a heavenly indulgence. Thank you for perfecting the recipe ; )! Hi Hannah! I usually bake one sheet at a time 🙂 I hope you like these! Hahaha, it didn’t work. They were flat and crumbly, but yummy. I’ll just follow your recipe! These were amazing! They came out perfect. After two days I put the last cookie over vanilla ice cream 👌🏼! I don’t usually comment on recipes that I try. But, these cookies turned out just as perfectly as the pictures. I used Kirkland chocolate chips for the dark chocolate. The cookies were fudgy and delicious. Thank you for the recipe. I will definitely use it in the future. It was super easy and yummy! Hi Lake! I’m so glad that you liked these and that they turned out for you! I know I had to mess with them a bit to get them perfect :). Hi Monica! I’m so glad you liked these :D. Semi-sweet choc chips totally work! 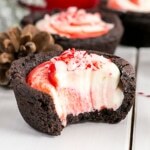 Making these today will let you know. On a totally different cookie subject: try Trader Joe’s Ginger Chunk cookie. Gluten free is not a concern but WOW what a cookie. No, but you can add some if you like! And the reason you wouldn’t add it is? Trying to become a better cook/chef. Not really. I mean, it would affect the flavour slightly, but I don’t know if it would make much of a difference in these cookies since they’re so chocolate heavy :). what brand/percentage dark chocolate did you use? Hi Kaity! I’m not sure what percentage it was… It was from a slab of Callebaut dark chocolate. These sound & look amazing. 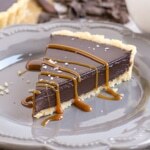 I want to try to make them, but I hate dark chocolate! Do you think it will work just the same with milk chocolate? Thanks! These were very good but tookmcloser to 14 min to cook. Make sure to cool completely on the pan or they will fall apart. I’d like to try these for my dorm mates but I’m not sure what you meant by ‘dark chocolate’. Are you talking baker’s chocolate or just a candy bar? Hi Alisson! Definitely NOT Baker’s chocolate. Any good quality Dark Chocolate candy bar will work. Lindt is usually a good one that you can get easily in stores. Let me know how they turn out! 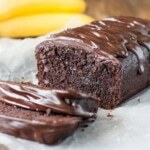 You might want to post this in the original thread, as an update – I would have gone with Baking chocolate and it seems like that really changes the recipe. Most people will assume it is bakers chocolate – I was reading the comments for this very reason in fact! Thanks and looking forward to trying these! I will add that as a note, thanks Christine! Hi Carol! I do have that listed in the notes section of the recipe. Hi! These look amazing, can’t wait to try them! Hi Rotem! It will affect the flavour and texture slightly, but *should* work otherwise… Let me know if you try it and what the results are! I was so excited to make these cookies, the pictures looked amazing! They did not turn out at all. The batter was extremely thick (like a paste) and stuck to everything (spatula, wooden spoon, beater, fork, etc.) I followed the recipe to a T and was so disappointed with the results! 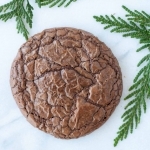 The cookies are the consistency of a truffle and the chocolate taste is too much. on e they cooled, they turned hard like a rock… Really unfortunate! Hi Sav, I’m sorry to hear you had trouble with this recipe! The batter should be very thin, so something must have gone wrong. What kind of chocolate did you use? My mom and I made these for Christmas and were really excited about them. Not sure where we went wrong, but we ended up with dense yet exceptionally fragile cookies that were very, very bitter. We thought something may have been amiss when our batter turned out to be very thick and crumbly, even before baking it – almost a Play-Doh like consistency. Also, we used baking dark chocolate rather than just normal dark chocolate – was that not right and where the bitterness could come from? Not sure if that accounts for the consistency. Any insight would be appreciated, we want to get these right! I was about to give this recipe a go when I saw this last comment. I bought Ghirardelli premium baking bar 60% cacao bittersweet chocolate. Is this the wrong thing to use? I would rather know now before I start making them. Hi Mindy! I’ve never used that one specifically, but my suggestion would be to taste a bit of it. 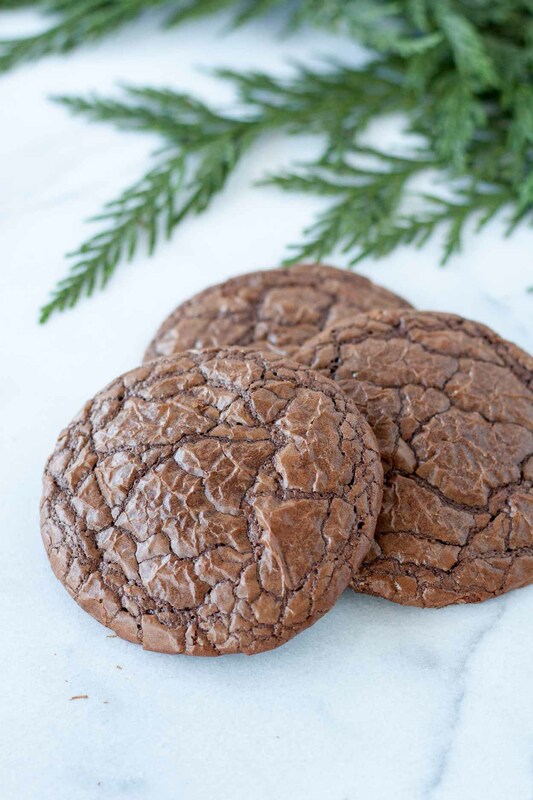 If it tastes like yummy dark chocolate then you’re good to go, if it’s bitter and unsweetened, your cookies will be too! You can add more sugar to the batter to counteract this, but you’d need to experiment with the amount. Hope that helps! Brownie recipes are one of those things that seem like they shouldn’t be too hard, but can be really tricky. I’ve been making brownies for years. Dozens of different recipes, prepared and tweaked with care, and yet none of them really truly taste better than the freaking mix. Good job on the cookies, though! they look fantastic. This was my first time baking chocolate cookies, and I was a little worried, but they turned out great! You can REALLY taste the chocolate, and they taste just like a good quality brownie cake. Thank you for the recipe! Oh my is it the cookie season already? I’ve made brwonie cookies several times before, they’re brilliant! Haha, I’m glad you could find amusement in my failures! 😀 And thanks!! These look so good! They’re like the crackly tops of brownies which is my favourite part! These look like the perfect cookie in my book Liv! Love them!